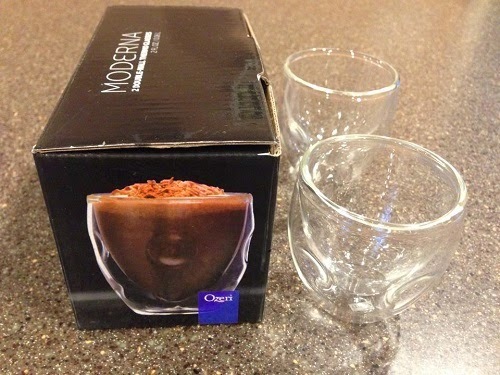 Today I will be reviewing another wonderful product from Ozeri, the Moderna Artisan Series Double Wall Beverage and Espresso Shot Glasses. I received a set of two 2 oz. glasses. glasses that each hold 16 oz.Stronger and more durable than common glass, each glass features a wraparound contour that provides a natural aesthetic grip. Completely microwave and freezer safe. Ships in an elegant 4 color printed box with a 1 Year Warranty. I am glad I was given a chance to review these cute beverage glasses. When my twin granddaughters saw them, they immediately asked for a drink. 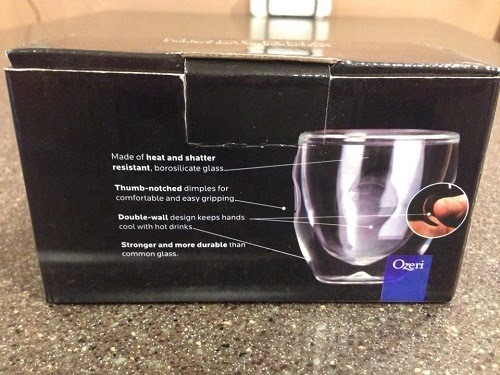 I didn't hesitate to pour their milk there because I know the drinks glasses from Ozeri are shatter resistant. I have a set of Serafino 12 oz. beverage glasses and up until now, they remain "unbreakable." These ones look strong and durable as well and I like the illusion that it creates when you pour liquid in it. The wraparound contour makes it easy for their tiny hands to hold it. I also love that the glass doesn't get hot when you pour a hot drink and it doesn't sweat when a cold drink is poured. 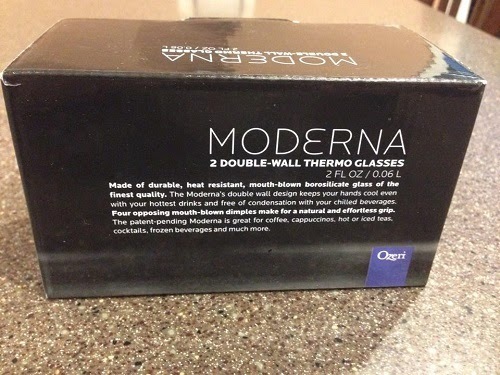 The drinks glasses are shatter resistant so you can be sure that they will last a long time. 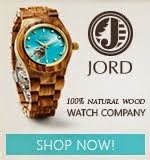 They are beautifully designed and they are easy to hold. It's a bit expensive because the tag price is $12.95. But if you would consider all the things I've said earlier, these beverage glasses are worth it. Just think about not buying drinks glasses for a long time. These glasses are made to last a long time. The design is unique and they are totally different from the traditional ones. I highly recommend these. 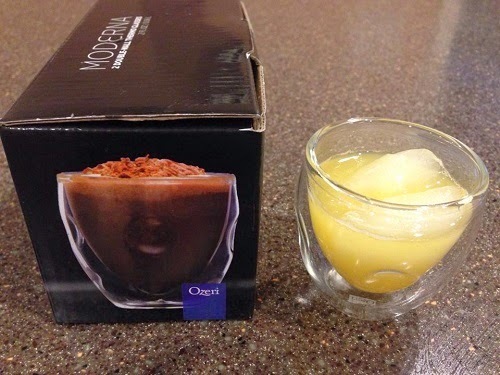 The Ozeri Serafino Double Wall Insulated Iced Tea and Coffee Glasses, 16-Ounce, Set of 6 can be purchased on Amazon.